Amidst house sitting, travelling and general business, I somehow managed to miss last week's Seven Things post but, this week, I'm relaxing in a lovely air bnb in Zadar, Croatia with plenty to smile about and, more importantly, plenty of time to type up some of those things in a blog post! On account of missing last week's post, this Seven Things post with be a mash-up of all of the things that have been making me smile most over the past couple of weeks so, here are two week's worth of my highlights. Booktubeathon. Last week I managed to take part in my first ever Booktubeathon which is an annual event that includes, reading, video and instagram challenges but, most of all, is just about reading as much as you can throughout the week. Because I'd just finished work for the summer, I had loads of free time for reading and I managed to complete all of the reading challenges (including reading seven books in seven days!!) as well as vlogging the event over on my youtube channel. It's safe to say that I was pretty bloomin' happy about successfully completing all of the challenges and, in general, I just had such a fab time getting more involved with the booktube community and dedicating a week to doing a whole lot of reading! Chocolate soy milk. When it comes to plant milks, I'm normally an almond milk gal through and through but there's just something about the Alpro chocolate soy milk that I just can't resist. That combination of creamy soy milk, chocolate and a ton of sugar really makes for a delicious drink and I've definitely been indulging my addiction for this tasty beverage this week. Malcom in the Middle. Some 00s sitcoms were really, really bad but others have definitely stood the test of time and Malcom in the Middle is definitely one of those shows. Jay and I recently spotted a few episodes on Comedy Central and, well, the situation spiralled and before we knew it, we were in the depths of a nostalgic series binge and absolutely loving every minute! Dubrovnik. This week started off with a flight to Dubrovnik where we stayed for five days for my dad's wedding. But, as the wedding wasn't until Wednesday, we had a good few days free to explore the city so Jay and I hopped on a bus and headed into the old town for a good ol' explore. We were totally blown away by how beautiful the city was and, although I was literally dripping in sweat by the end of it, our walk along the city walls was totally worth the epic view of the city and ocean. Ocean swimming. When we weren't exploring the old town, Jay and I could almost definitely be found floating in the ocean and enjoying a swim in the beautifully warm water. I still can't get over how insanely blue and clear the water was and, as it made such a nice change from the freezing cold and grey sea of England, I would have quite happily spent all of my days soaking up the sun whilst bobbing around in the sea. Jet Skiing. One afternoon, my dad, brother (Kav), Jay and I decided to rent some jet skis and, I can quite confidently say that driving a jet ski was one of the most terrifying but fun experience of my life. Jay and I split the driving of our jet ski and I'd definitely describe my driving style as cautious but we definitely got to experience some more speed when Jay took over. Aside from one, rather hilarious, mishap which involved my dad almost crashing into Jay and I and Kav subsequently leaping from the jet ski to avoid, what he thought would be, an explosive crash (we were all fine), my first jet skiing experience was amazing, and now that I'm a little more confident, I'd love to try it again! Tanning. For those who don't know, my mum is Irish and my grandad comes from Scotland so when I say I'm pale, I mean I'm pale. Paired with the fact that I'm not really one for sunbathing because I just get bored way too quickly, I never really manage much of a tan but, the past few days of wandering around in 30 degree weather in Croatia mean that I'm finally developing something of a golden glow! 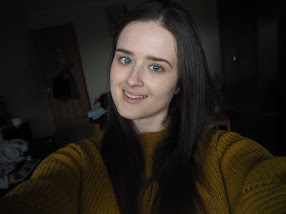 I mean, I still probably look pale compared to most people but, for me, I'm feeling super tanned and absolutely loving it - don't get me wrong, I usually love my pale complexion, but it is nice to gain a little colour once in a while!